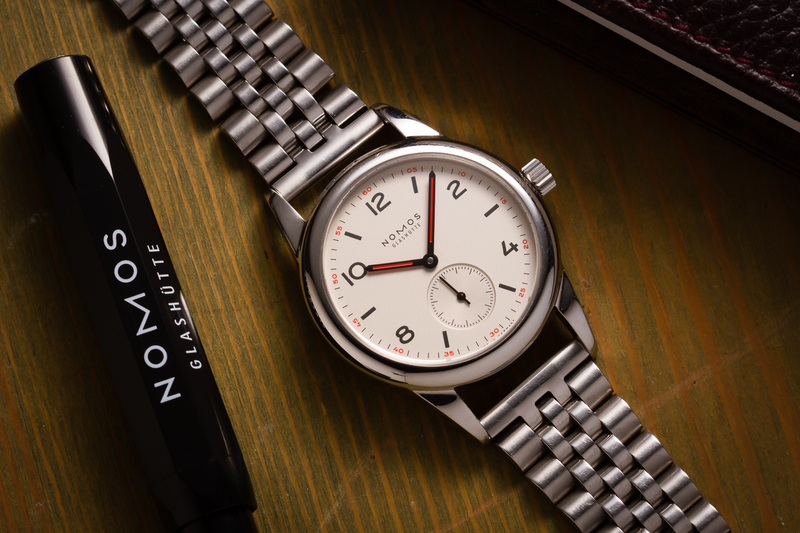 Another bracelet on my NOMOS Club 701: a straight-ended Jubilee by ROWI. After the Bonklip & Expandro came the Jubilee. The Jubilee is another bracelet that came with the lot I bought a while back. The style was introduced in 1945. It was created by Gay Freres for Rolex in celebration of the 40th anniversary of the latter, arguably as a more streamlined version of the earlier beads-of-rice bracelet. Sadly my bracelet is not made by Gay Freres (unlike the Bonklip), but rather by ROWI, a manufacturer based in Pforzheim, Germany. Though it looks good in the pic I took it off right after, as it was a bit too long and I didn’t want to go to the trouble of removing any links. A little over a month ago I posted a picture of my NOMOS Club fitted with a vintage Gay Freres Bonklip-style bracelet. Yesterday I fitted another one, this time a vintage expandable Oyster-ish bracelet by Expandro. 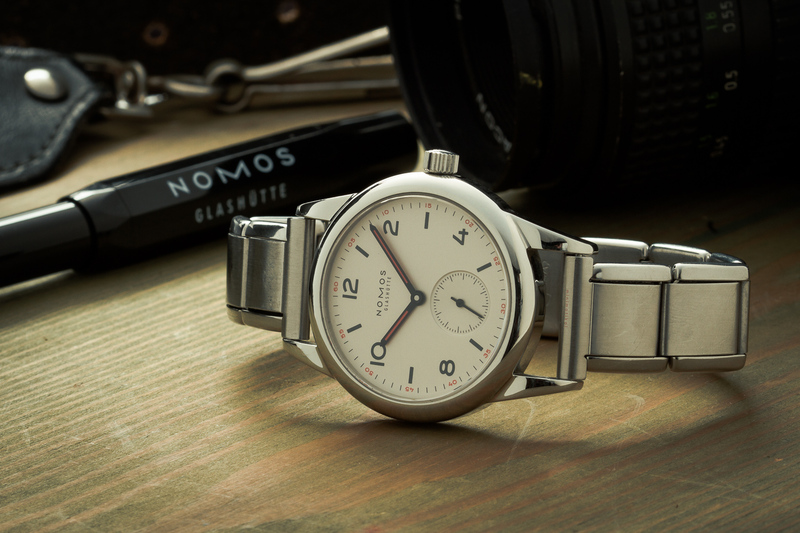 When I first my NOMOS x Bonklip post, I thought I’d keep the Club on that bracelet for a day or two. I can now report that this was most certainly not the case, as I kept it on and wore it for one month straight. The mid-century look & feel greatly quite a bit, and I began to keep an eye open to other vintage bracelets. Two weeks back I was negotiating with the seller of a LIP Himalaya, and in the process I discovered he also had a lot of some 80 vintage bracelets for sale, which he’d include for a modest premium. I quickly agreed and received my 2.5kg package a few days later. After a first sift I deemed about half of them to be in usable condition, and over the next couple of days I thoroughly cleaned every single one of them. It’s not a very pleasant job! Over the next couple of weeks I’ll try to post a few of them here on minimatikal. First up is this expandable bracelet by Expandro, with 18mm straight end pieces and 16mm Oyster-like links. 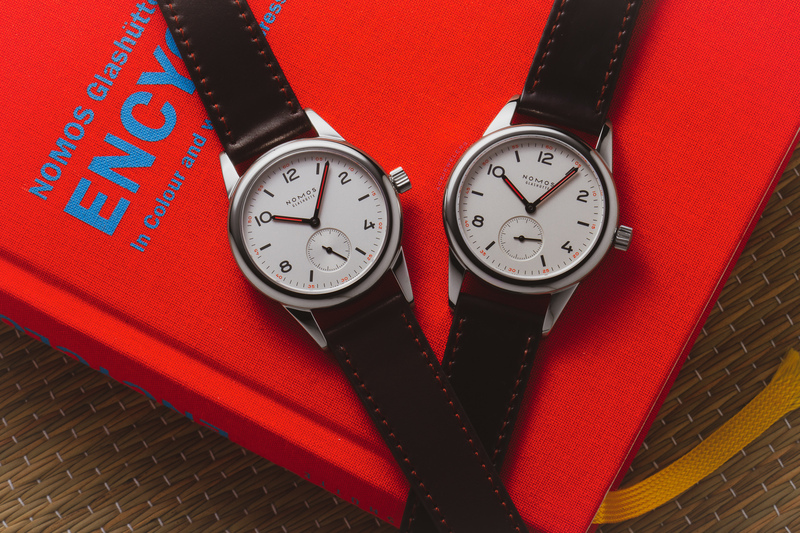 Suddenly the Club feels like a funky modern version of the Rolex Bubbleback. I like it! In my article for Ace Magazine I wrote about how I think of the Club as a modern alternative to watches of the 1940’s and 1950’s. I recently acquired a Eternamatic from that era, fitted with a Gay Freres bonklip-style bracelet. 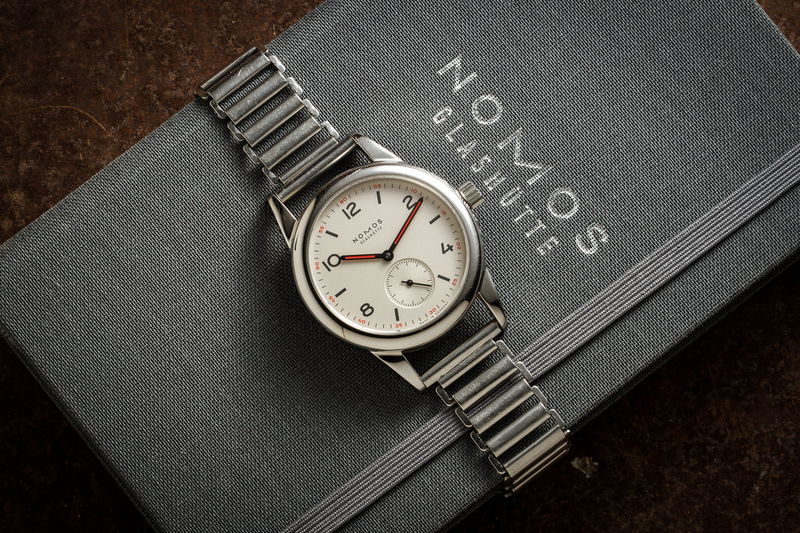 This morning I decided to give it a try on the NOMOS Club 701.